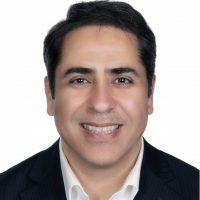 Dr. Kamran Golmohammadi is a Fellow of the Royal College of Physicians of Canada and a Clinical Assistant Professor at the School of Population and Public Health at UBC. Dr. Golmohammadi is the Clinical Faculty Representative at UBC School of Population and Public Health. He completed his MSc degree and residency training in Public Health and Preventive Medicine at University of Alberta. He is an author member of the Cochrane Collaboration and his areas of research and practice include Environmental Public Health, Injury Prevention and Chronic Diseases Prevention. Dr. Golmohammadi has a keen interest in Public Health and Preventive Medicine Education. He is one of the members of the Public Health and Preventive Medicine Residency Program Committee at UBC, and Training Site Director for Population Health at Interior Health.